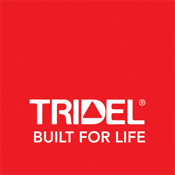 The Tridel App is desgned for real-estate professionals. With the App you can search and find your clients dream home in our newest communities. Virtual tours, Renderings, Floor plans and views are all simply and elegantly displayed on the iPad. Please Note: To use the app you need to be a registered realtor with Tridel. Please email info@Tridel.com to request a user name and password. View our newest condo project overlaid on satellite maps. See where your new home will be in relation to local points of interest including restaurants, theaters, and public services. Search for your dream home by size, number of bed rooms, number of baths, or preferred view. View detailed floor plans, save your favourites, and share with friends. You can even compare floor plans side-by-side to ensure you are getting everything you want in your dream home! See the spectacular city views from the actual site. View the amenity floor plans and take a virtual tour of all of the amenity spaces.